As dangerous as any pirate, the SPL cooks. 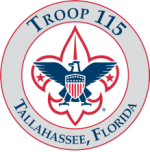 Troop 115 in Tallahassee was charted by the Boy Scouts of America (BSA) in 1962. 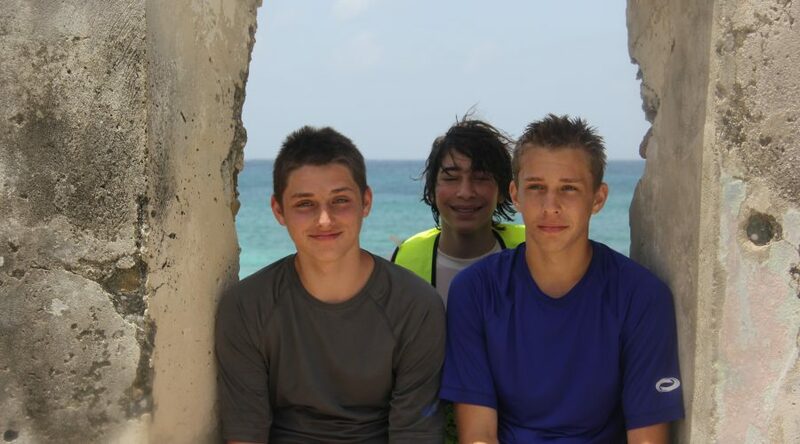 We provide boys opportunities to learn, mature and become leaders. 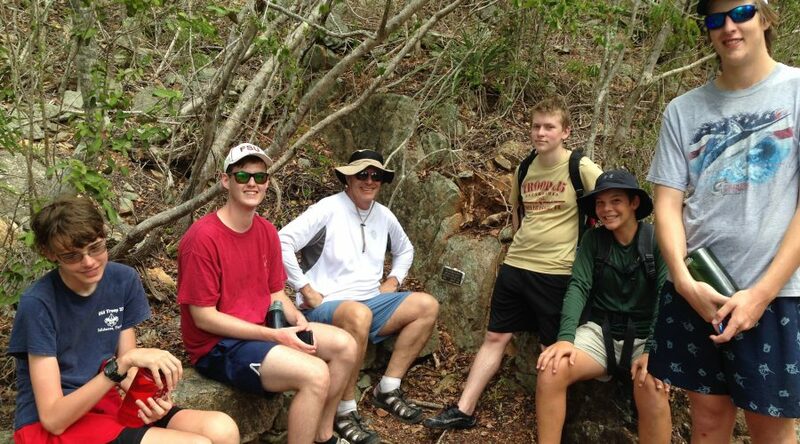 Active in outdoor activities such as camping, hiking, fishing, boating, pioneering and we are also involved in many service activities. 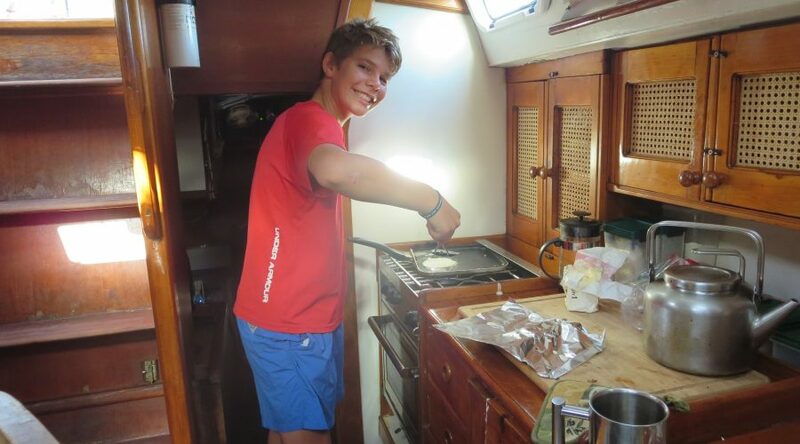 Although Scoutmasters are active in providing adult supervision, through the Patrol Method, the boys are taught to cook, clean and care for themselves and each other. Most importantly, boys are taught leadership skills and are expected to demonstrate those skills by being leaders within the troop. Along the way, as your son learns, he will advance in rank. A few will continue to reach the rank of Eagle, the highest award in scouting. 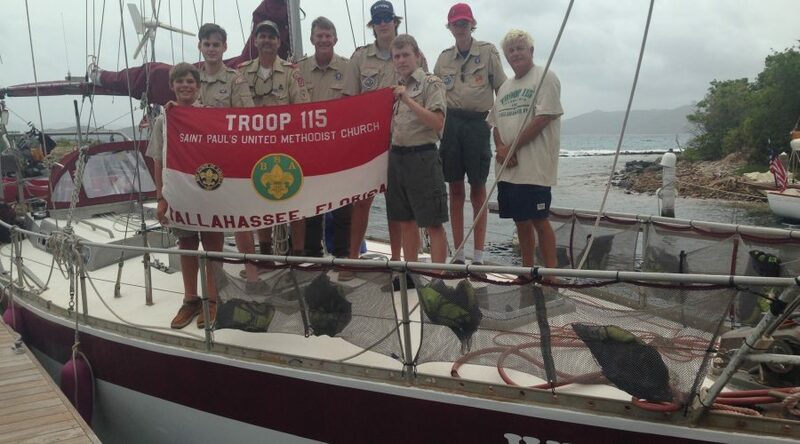 Troop 115 has produced 127 Eagle Scouts as of 2014 and we look forward to more boys attaining this award. 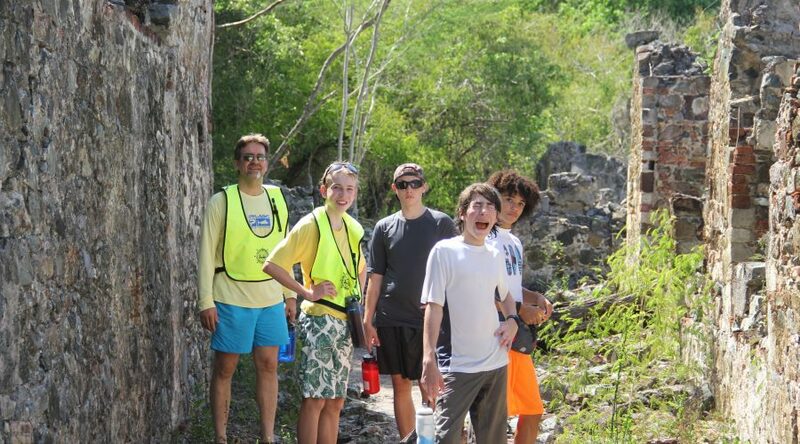 During the scouting year, our troop will go on nine monthly camping trips. 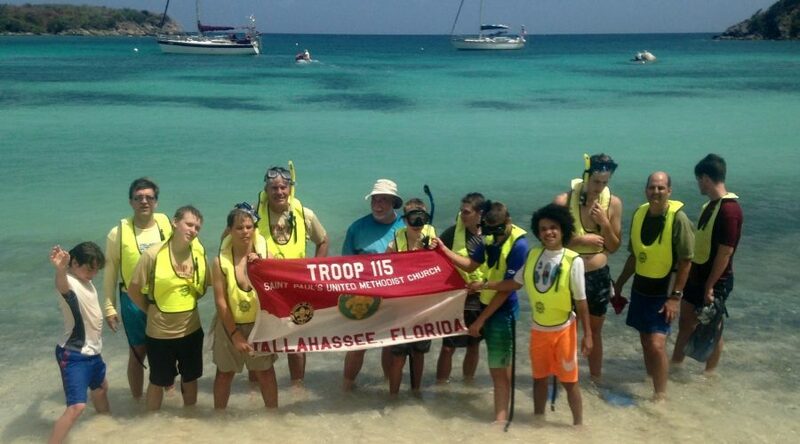 To help in the planning of those trips the troop meets weekly during the school year. These meetings also offer the opportunity to learn skills, leadership and to have some fun. 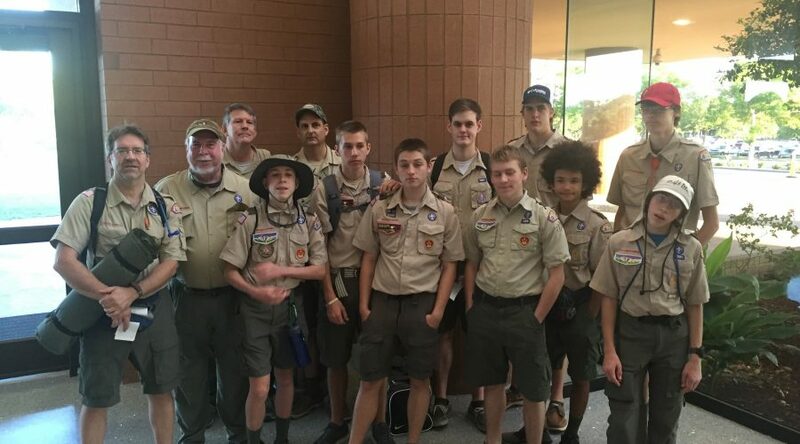 During the summer months, Troop 115 will attend a summer camp where boys can earn merit badges for rank advancement and enjoy the outdoors. 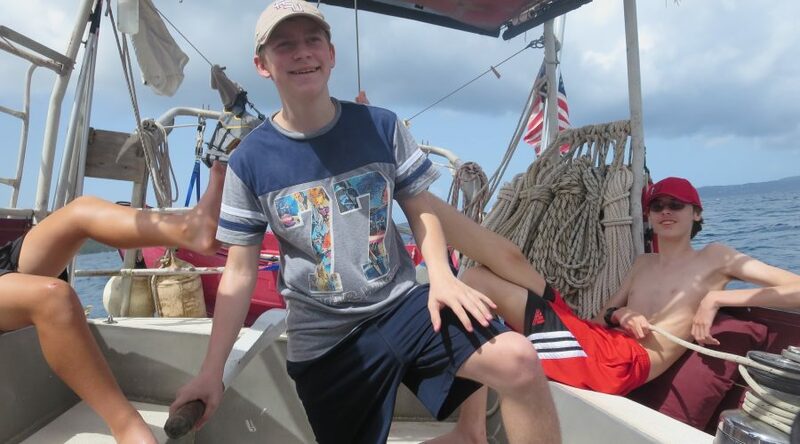 We also offer high adventure trips such as hiking portions of the Appalachian Trail, canoeing in the Northern Tier National High Adventure Base, or even sailing in the Bahamas. We are proud of our current and past Scouts and we’d like to invite you and your son to join and be a part of Troop 115.